No matter where you are moving from or to, there are many factors that can affect your overall ability to move safely and efficiently – and for the lowest cost. Indeed, in addition to your physical location, there are an array of factors that can affect the overall efficiency of the moving process. Check out our short guide to help you decide what is the best time to schedule your next move. Depending on where you live, the time of year you choose to move can play a major factor in the overall process. For instance, living in the Dallas-Fort Worth area means the summer is super-hot and sticky – definitely not the ideal time of year for a move. That sort of day can make your move feel next to impossible! We may not have particularly extreme winters, but you want to avoid any potential icy (or snow – it can happen!) days, when driving conditions aren’t their best, as well. Moderate temperatures at a temperate time of year generally mark the best moving seasons that won’t further complicate the moving process. No matter what time of year you choose to move, you will generally want to move during the early morning hours. Moving in the morning means less traffic to contend with and, if you are moving during the warmer months, this will also mean that the weather will be cooler and more tolerable. If you start your moving process earlier in the day, you will hopefully be finished and ready to settle by the time the day is over – a win-win! The day of the week can also play a major factor in a well-executed move. Since the weekends can be incredibly busy – increasing the demand on movers and raising prices accordingly – moving on a weekday between Monday and Thursday is ideal. Depending on the area you live in, this could improve drive time on the move and ultimately make it go more quickly – and you’ll be able to spend the weekends on either side of your move doing last-minute packing or getting a solid start on unpacking at your new place. Overall, no matter when you choose to move, you’ll want the help of reputable professionals. Luckily, Delicate Moving is here to serve you. Not only can we help you schedule the best time for your move, but we can also do all the heavy lifting. 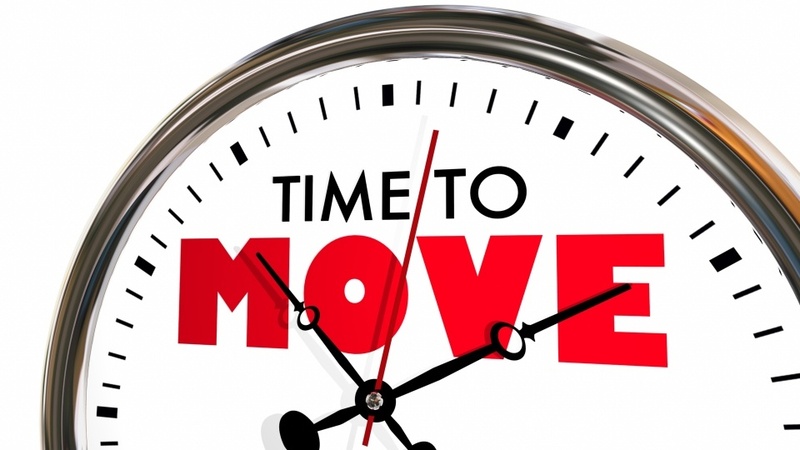 Make your next move your best move and contact Delicate Moving today!